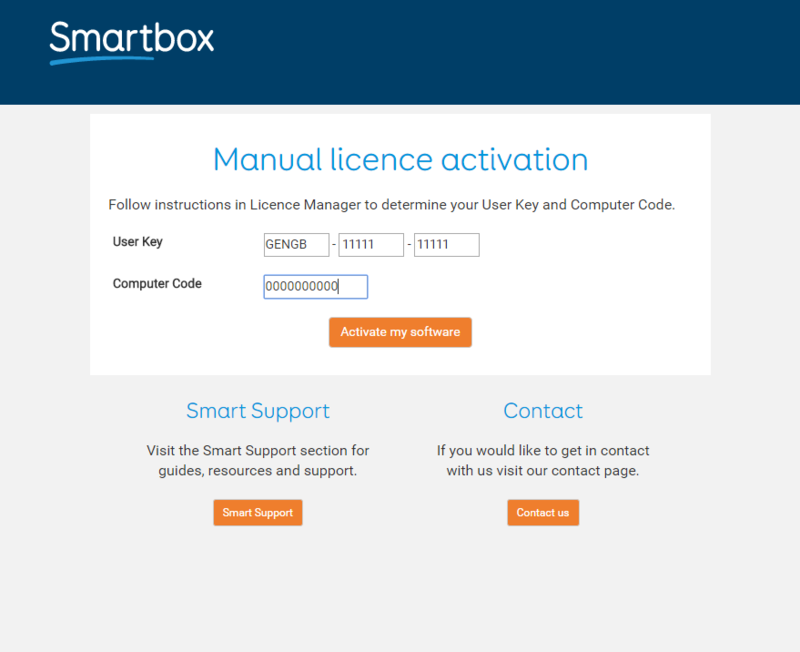 If the device you are installing your Smartbox software, voice or grid set does not have an internet connection, you can use the Licence Manager to manually activate your licence keys. 1. 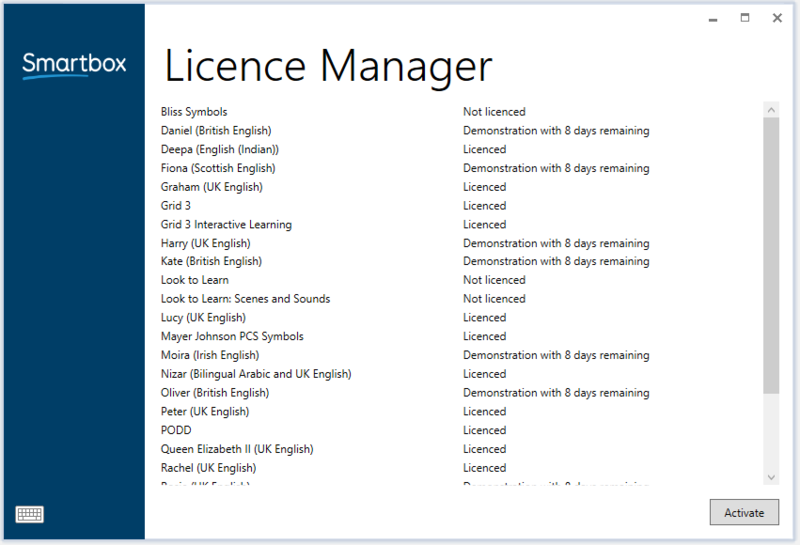 Open the Licence Manager software (found under Smartbox in the Start Menu). This will scan your computer for installed software, grid sets and voices and report back on what is licensed. Click Activate. 2. Enter your User Key (also listed as licence key for certain products). 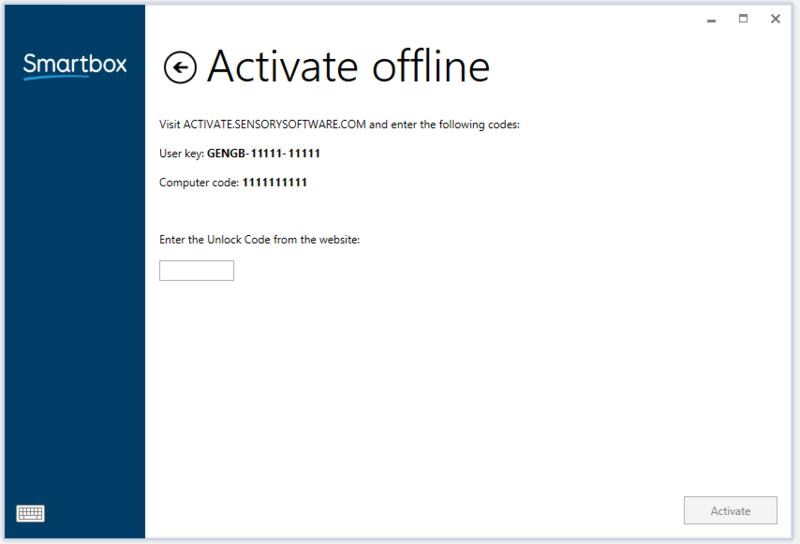 Check the Activate offline box and click Next. 3. You will be pointed towards the activate.sensorysoftware.com website and provided with a Computer code. You will need to input this code into the website along with the User key on another device. 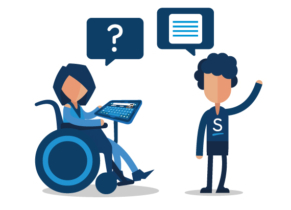 The website will work across any internet connected device so you can use a smart phone, tablet, laptop or PC. 4. 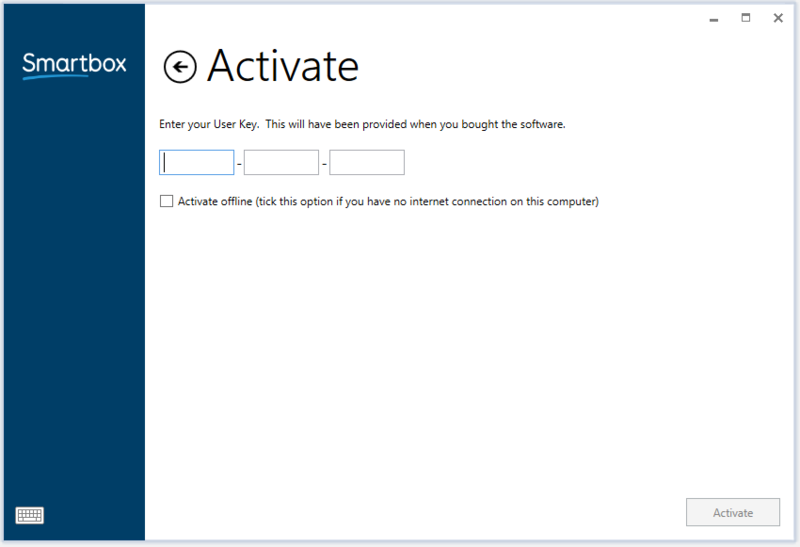 Click Activate my software on the website and you will be given your Unlock Code. 5. Enter this on your device and click Activate to licence your software.